Operating System Not Found: How do I fix this error in Windows? This error seems scary, but all is not lost. Sometimes Windows Update will go wrong in some way, rendering Windows unusable. It can also happen when a drive update goes wrong, or if you try and install more than one version of Windows on the same machine. This can often be fixed with a Startup Repair. For that, you need your Windows CD or a Windows Recovery CD. Your PC will restart again. Take the disc out and change the boot order in your BIOS back to starting from the hard drive first, if necessary. Windows should be working. Restart your PC and see if either of those fixes worked. If not, we’ve got a guide for repairing a broken Windows Update. 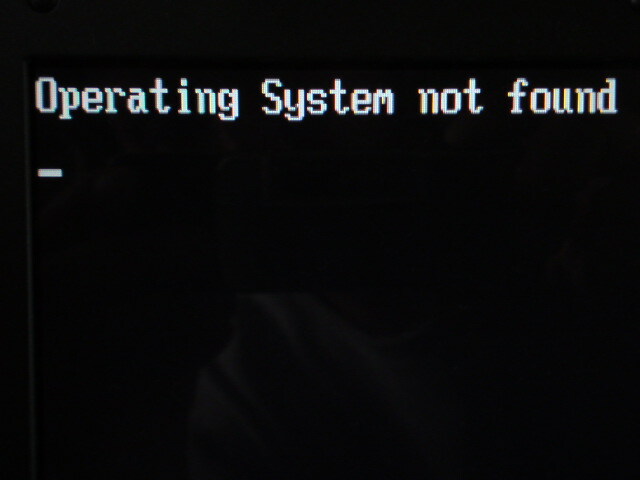 Note that if your operating system doesn’t show up, it’s likely that your hard drive has died. (That’s what happened in our case.) At that point, you’ll need to replace it. Good luck!